"Hopefully this is the beginning of a new era," Shahrkhani said afterwards. "I was scared a lot, because of all the crowd," she added. "Unfortunately, we did not win a medal, but in the future we will and I will be a star for women's participation. It was the opportunity of a lifetime." 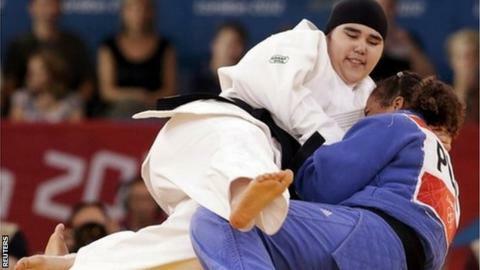 Her father, Ali, a judo referee, told The Associated Press he "cried like a baby" watching his daughter compete. "She was happy and smiled when she finished the fight," he said. "She hugged me and said: 'Daddy, I did this.' I was so proud."